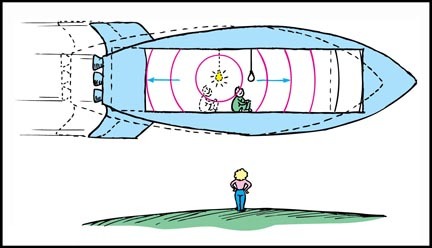 The astronaut sees light hitting the front and back of the ship at the same time. But the planet-bound observer sees differently. Why?